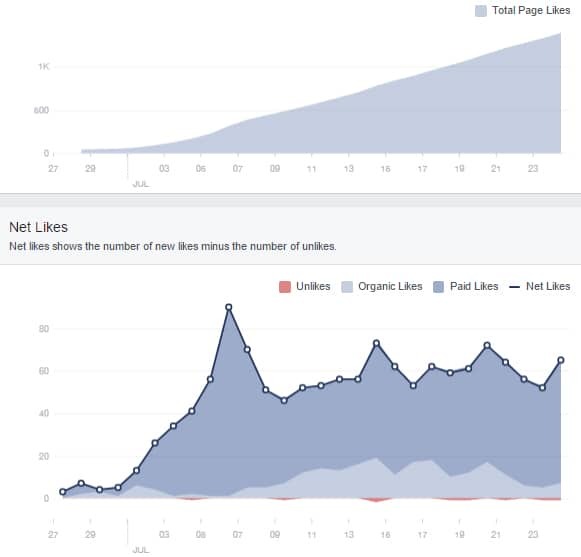 Here’s how we helped a client add over 66,000 Facebook page Likes in about three months. This case study looks at how Turkey Burg used advanced Facebook ads targeting techniques to grow 10Hikes.com‘s following. Before diving into the techniques we implemented for 10Hikes, I want review the importance of having a broader business marketing strategy when running a Facebook page Like campaign. 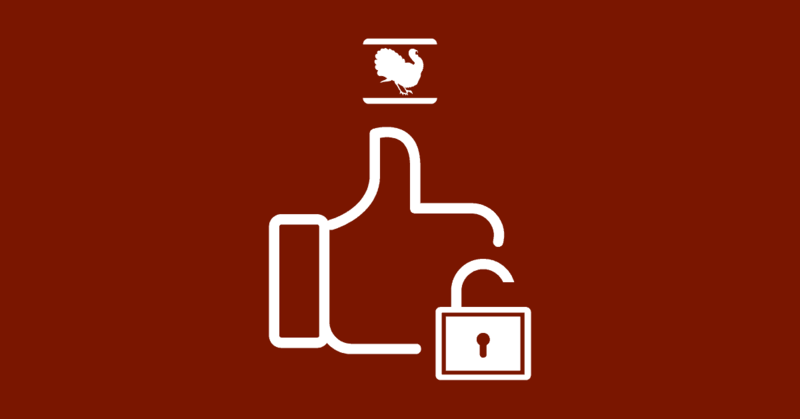 I also want to clarify that a page Like ad campaign – which is what Turkey Burg managed for 10Hikes – is very different than simply buying Likes or ghost likes. It’s not difficult to find posts that warn about the dangers of buying Likes. 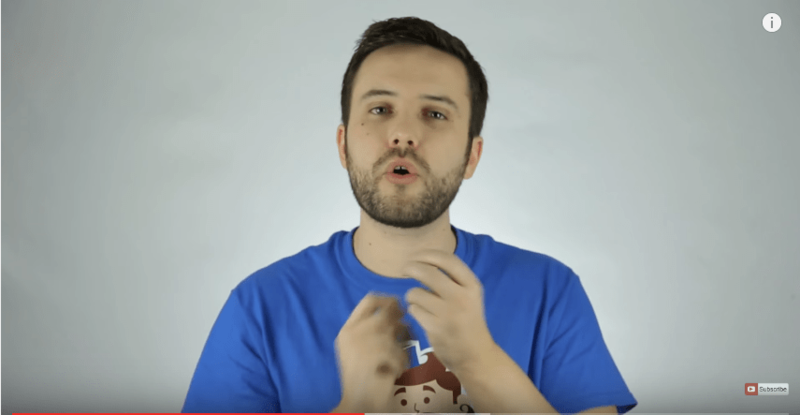 AdEspresso does a nice job explaining why buying Likes is gonna hurt you. Click the image below to watch their video on this topic. If you are worried about fake Likes and want to rid them from your page, here’s a post from Social Media Examiner on how to remove fake Facebook fans. Ok, back to why you should have a strategy behind your Facebook page Like ad campaign. There is a common misconception that businesses can reach their Facebook fans organically. It is true that you can reach some page fans organically, but just because someone follows your Facebook page doesn’t mean he or she will automatically see your page posts. Research shows that pages with fewer than 1,000 Likes will only reach about 20% of followers organically. Here’s a recent report that shows organic reach of pages is actually lower than previously thought. Similar to how Google uses a highly guarded algorithm to determine its search results, what shows in a person’s newsfeed depends on Facebook’s algorithm. And Zuckerberg isn’t giving that access away for free. The bottomline is you’re paying for access on Facebook, whether a person Likes your page or not. Which means if you’re going to invest your ad budget in a campaign to grow your following instead of a campaign to drive traffic, engagement or leads, you’re best to have a good reason behind doing so. Based in Western Canada, the first hiking content available on 10Hikes.com focused on regions in the Canadian Rockies. The profiles were of hikes in Banff, Lake Louise, Canmore and Icefields. When targeting ads on Facebook, we looked at people who would be most interested in this regional content. And while 10Hikes.com is a site with international appeal and scope, we figured the people most likely to benefit from great hiking content live within driving distance of the hike locations. The beautiful thing about Facebook ads is that even when an impression doesn’t convert, it can still provide valuable insights to help build a digital avatar for future campaigns. Follower growth over the first three weeks was decent, with 10Hikes.com going from 40 to about 1,400 page Likes. But our real takeaway from this initial period was learning more about the type of people who engaged with the advertised content. It’s undeniable, there is a science to running a fruitful Facebook advertising campaign and mastering the technology plays a role. At the end of the day, however, all the scientific mastery won’t help bad or boring content. In the case of 10Hikes.com, the content and imagery is great. People love stunning nature shots, especially of the mountains, and photos are a big part of the site’s value proposition. When you can base your ad campaign on breathtaking natural scenery, you’re that much further ahead. Here’s an example photo and there are tons more on 10Hikes.com. Using what we learned from the first three weeks, we began to target lookalike audiences. Lookalike audiences are one of the most powerful examples of Facebook’s advertising technology. There are a few different ways to create a lookalike audience. 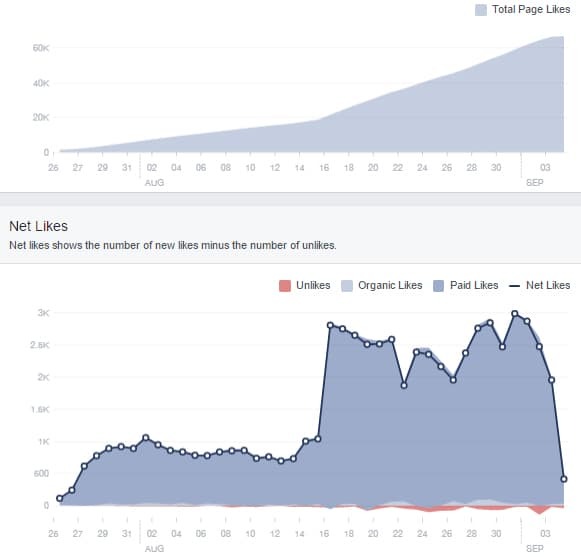 In our case, we had installed a Facebook tracking pixel on 10Hikes.com and we were able to create lookalike audiences based on both website traffic and page Likes. A lookalike audience is a group of Facebook user profiles that match characteristics of the user profiles already engaging with your content or website. When you create a lookalike audience, you’re asking Facebook to find more people who look like people taking certain actions. For the average consumer, this notion is likely a little Orwellian but for marketers, lookalike audiences are a gold mine. Why waste your time and budget guessing what might work when you can get Facebook to help figure it out for you? 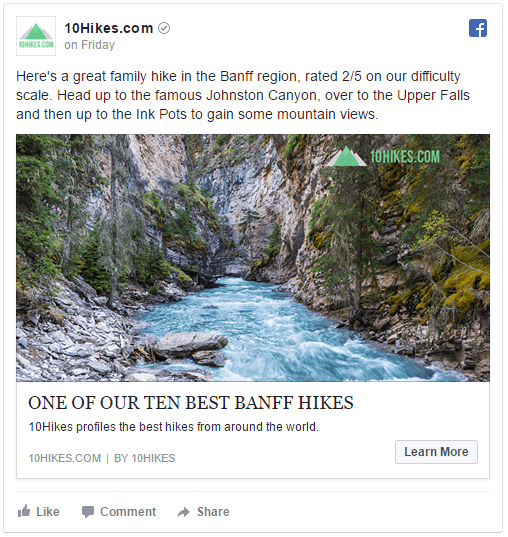 For 10Hikes’ page Likes campaign, we used the data gathered through targeting people in Western Canada over the first three weeks to create lookalike audiences in other other countries. Afterall, quality content about hiking trails is great for tourists and travellers and the Rocky Mountains attract people from all over the world. By using the profile data accumulated during the campaign’s early weeks, we layered interest and age-based targeting on top of lookalike audiences around the globe. That’s like a target on top of a target. The results? Well take a look at the graph below. From the last week of July through September, 10Hikes’ following went from 1,400 Facebook page Likes to over 66,000 and our cost per acquisition (CPA) decreased dramatically. The true value in what 10Hikes.com provides is the volume of quality hike profiles. By mid-August, less than two months after launch, 10Hikes.com had added two new regions and had 60 hikes on the site. Even with a carousel ad showcasing up to 5 links at a time, the ads weren’t communicating the breadth of available content. 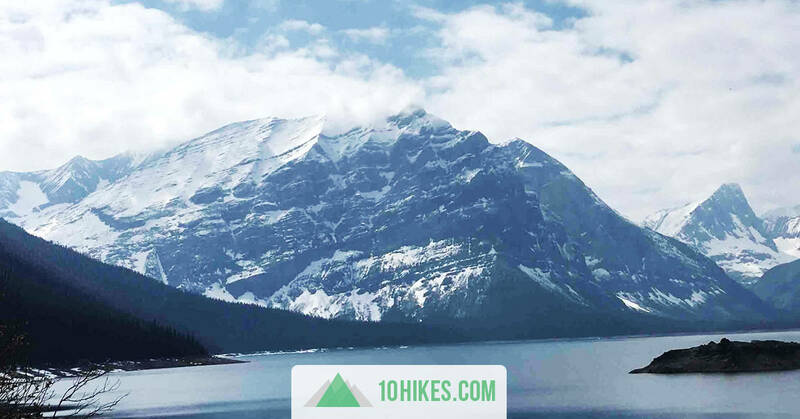 To share more of the great content available on 10Hikes.com in a way that could generate both post engagement and drive traffic to the site, we moved to a system of posting two hikes per day on the 10Hikes timeline. There proved to be a few advantages to this approach. First, while posting frequency isn’t always a must-have, it doesn’t hurt to maintain an active timeline if you have quality content to share. With 60 hike profiles on the site, we were able to set a posting schedule to share two different posts each day. With a properly configured open graph, the post content looked great and made the photo function as a direct link back to 10Hikes.com. People tend to click photos they like to view an enlarged version of the image. With this type of post, clicking the image leads the user back to the website, which increased overall site traffic. The best part of the auto-posting approach is that we were able to schedule posts in advance and spend more time analyzing results and improving targeting. Buying fake social Likes or followers is not a wise move. But when paired with a solid business marketing strategy, running an ad campaign to gain Facebook page Likes can be very effective. Logical interest-based targeting is a great place to start. Be sure to track audience performance indicators and optimize as you go. Install a Facebook tracking pixel as soon as possible. Even if you don’t plan to advertise on Facebook for several months, this data will be useful when you are ready to invest in advertising. Try layering lookalike audiences with interest based targeting to improve results. Scheduling posts in advance is a great way to save time. After the initial three months, 10Hikes.com had made it through its first full hiking season. With close to 70K Facebook page Likes, we decided to switch gears with social media advertising and focus more on driving link clicks. 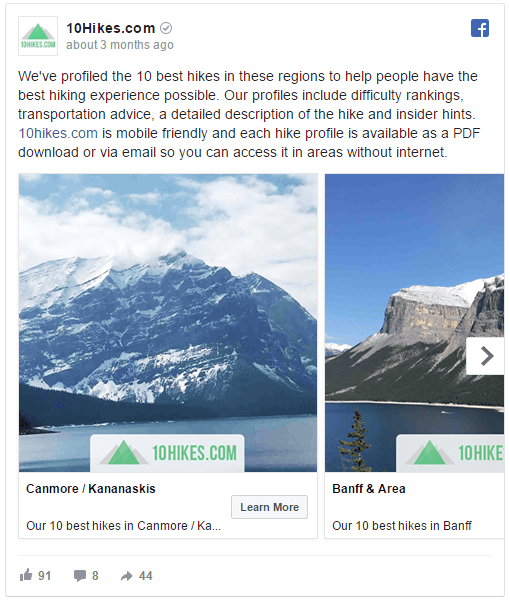 10Hikes.com gained 8,000 additional page Likes through September and grew to over 74,000 Facebook followers. The brand was attracting interest from hiking bloggers across the internet. By all accounts, the strategy of using Facebook page Likes to raise the profile of this start-up paid off.